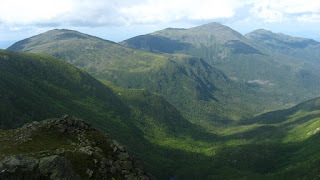 "The Whites" refer to the White Mountains in the state of New Hampshire. 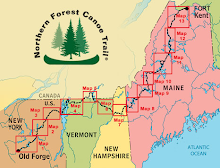 One of the trails there is the oldest continuously used trail on the USA. 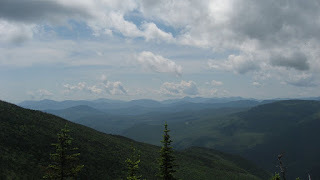 The mountains are high, above tree lime, the weather changes quickly and constantly, and the views are spectacular. If the weather is bad, white is the only view. The highest recorded wind on the top of the highest mountain, Mt. Washington, is 232 miles per hour! Due to the area's popularity and weather conditions, places to spend the night are closely regulated. 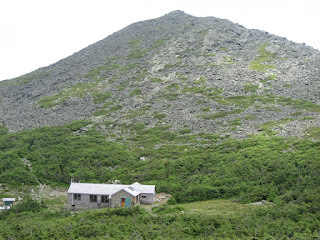 The Appalachian Mountain Club (AMC) maintains the trails and has established a network of huts to provide sheltered accommodation. Bunk beds and meals are provided for guests on a generous budget. Fortunately thru-hikers can ask for a "work-stay". This involves washing dishes, windows, floors, or something similar for the right to sleep on the dining room floor and eat with the crew (referred to as Croo). Thanks to some especially friendly Croo - Matt at Carter Notch Hut and Maddie at Madison Hut.